Although very few people know it, the Trump administration has declared this week Energy Week at the White House. Themed weeks have not worked out so well for Trump, who seems stuck in the cycle of attack-the-media-and-wait-for-something-to-happen-with-health-care timeline. What wasn’t expected was such a negative blow to the administration’s efforts to promote “American energy dominance,” a phrase that means very little (aside from ‘we love fossil fuels’) but rolls off the tongue powerfully. Well, sometimes life gives you lemons. And sometimes, clean coal plants just end up running on natural gas because it makes more sense. On Wednesday, Mississippi Power Co., a unit of Southern Co., announced it was no longer trying to run the embattled Kemper County “clean coal” energy facility in Mississippi using coal. Instead the costly and behind schedule plant will become a run-of-the-mill natural gas power plant—and a very expensive one. The move is a massive setback for advocates of “clean coal” technologies — the kind that the Trump administration has hailed as a way of saving mining jobs. While it could mark the end of a very costly venture that has Southern investors demanding pay cuts for executives, the company warned it may still incur a $3.4 billion second-quarter charge if state regulators won’t allow it to recover project costs from ratepayers. 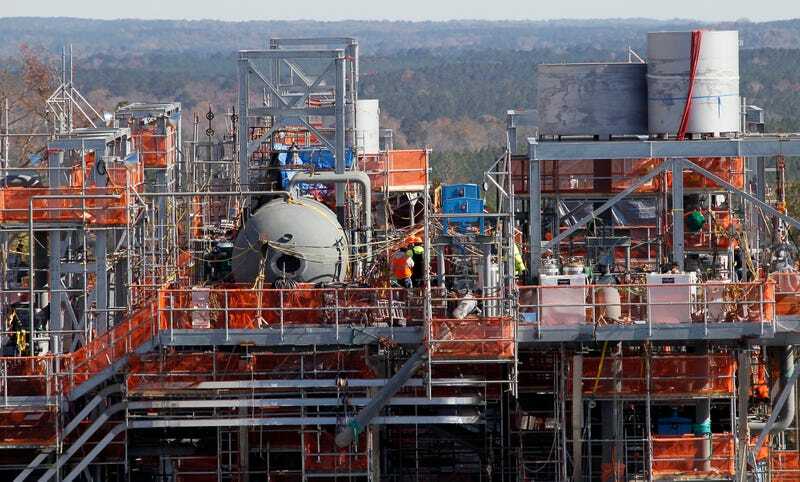 Kit Konolige, an analyst for Bloomberg Intelligence, said that, at $7.5 billion so far, Kemper is already on its way to becoming the most expensive gas plant ever built, costing about 10 times that of an average gas-fueled generator. Clean coal can refer to various technologies intended to cut down coal-powered pollution, however it most often refers to plants outfitted with specific carbon capture and storage, or CSS, technology. CSS allows facilities to trap carbon emissions before they go into the atmosphere. The captured emissions can then either be stored in geological formations underground or used for industrial applications. As Project Earth recently reported, many experts have hailed the technology as a necessary future component of global climate efforts—both the International Energy Agency and the Intergovernmental Panel on Climate Change have recognized its potential as a mitigation strategy and a necessary step in the bridge from fossil fuels to zero-carbon energy sources like wind and solar. But in recent years, the technology has become the subject of bitter debate even among environmental groups, many of whom argue that resources would be better devoted to the continued expansion of renewable energy.